We really didn’t use fresh thyme growing up. In fact, we almost exclusively used the dried variety…and to be honest, not that often. Over the last couple of years, I started to really dig this lemony little herb! The leaves are so fragrant and tasty, with hints of pepper, lemon, and earthiness. You can add it to beverages, soups, apps, tasty entrees, and even desserts. It literally tastes like comfort. And not only does it have great flavor, the plant looks so perfect when grown in a garden. Grow it! 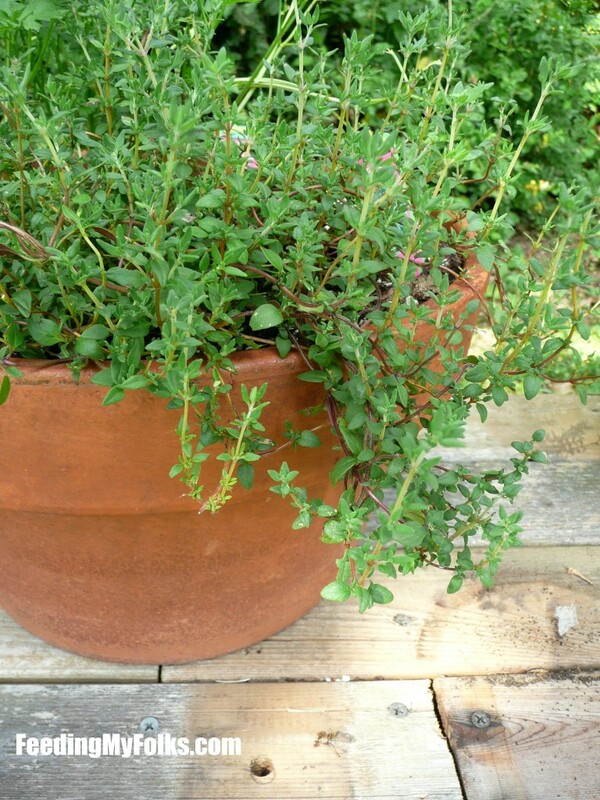 You have time to grow thyme! 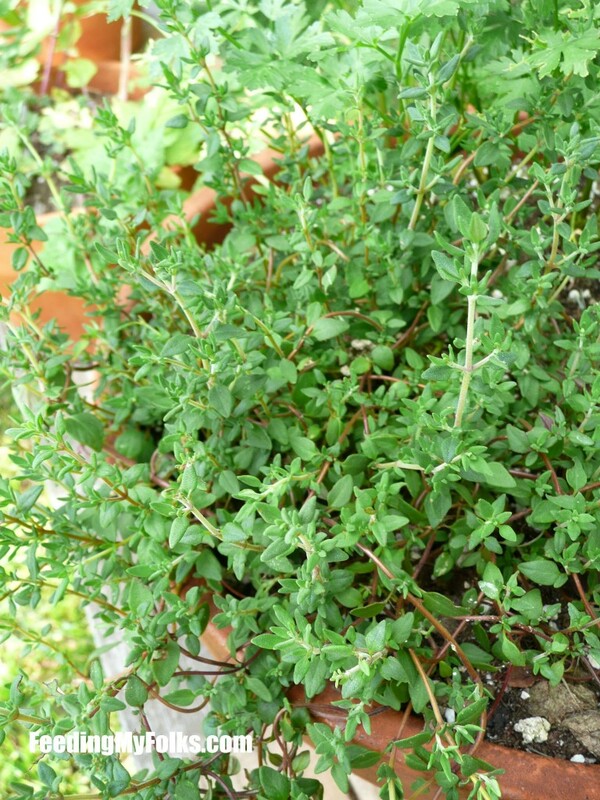 Thyme is a perennial plant, meaning it lasts more than one season. Soil should be dry & lean (sandy soil works too). Soil pH 6-8 provides optimum growth. Grows best in warm, dry conditions. Sow thinly and cover with a light sprinkle of compost or soil. Soil should be moist, but not soaked. Grows slowly from seed, so give yourself some time before desired harvest! Plant 6 – 12 inches apart (they will spread). For best results, allow your plant to grow the first year with minimal pruning (I did not follow this rule and was absolutely fine, but have been recommended this tip twice from other gardeners). Strip off leaves or snip sprigs when needed. Prune larger sprigs to keep them from getting woody, especially in early spring.